Arizona is a lovely place to raise a dog! In fact, This Dog’s Life named Arizona the third best state to be a dog! Not only is the weather pleasant year-round, Arizona also ranks 11th for strictest anti-cruelty laws and 10th for percentage of shelters that are no-kill. Not to mention, the state boasts over 600 pet-friendly businesses and nearly 1,000 pet-friendly hotels! On top of that, Arizona is home to some of the most beautiful hiking trails that you and your dog are sure to enjoy! What better place to bring your dog than one of the most beautiful spots on the planet? 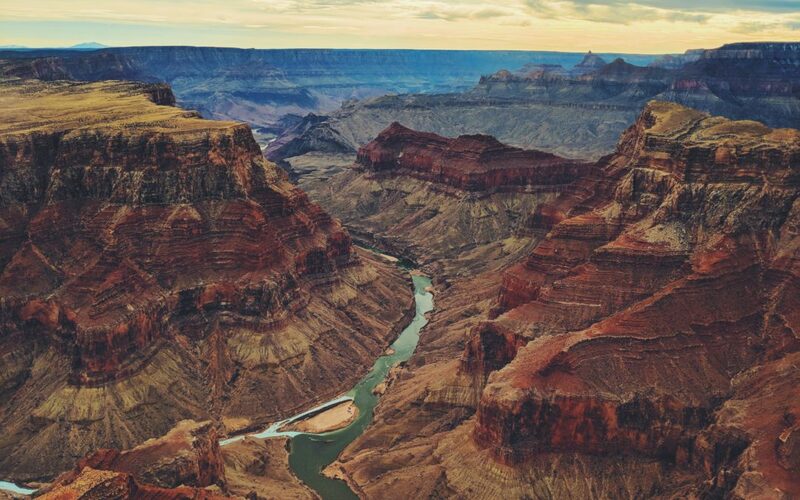 The Grand Canyon! While pets are permitted in the park, be sure to keep them leashed at all times. Keep in mind that pets are allowed on trails above the rim, including Mather Campground, Desert View Campground, Trailer Village and throughout the developed areas. However, your furry friends aren’t allowed below the rim! Home to over 16,000 acres, South Mountain Park and Preserve is one of the largest municipal parks in not only Arizona, but the entire country as well! You and your pup can enjoy breathtaking valley views from Dobbins Lookout. Head to Gila Lookout for stunning views of the Gila River Valley as well! Located in the northern part of Phoenix, AZ, Lookout Mountain is another great hiking spot for you and your dog. The preserve offers scenic views and moderate trails for hiking. The Summit Trail is considered a “short, steep hike” and takes about 40 minutes round trip. If you and your dog are up for it, the views are worth it! Located in Glendale, AZ, Thunderbird is another great spot to go hiking with your dog. In fact, the park offers 15 miles of multi-use trails for you and your pup to enjoy! According to visitors, the H-1 trail is best for short-legged dogs and pups due to the lack of elevation and fairly easy terrain. The H-2 trail is better for your long-legged dogs and experienced hikers that have more endurance. This trail is located in Scottsdale, AZ and you’ll find plenty of folks hiking with their furry friends here! At the beginning of the trail, there is a doggy water fountain, as well as plenty of poo-bags to keep the trail clean! This is a five-mile trail and you should definitely be prepared with plenty of water on a sunny day. There are plenty of other incredible hiking options throughout Arizona as well! Be sure to check out our 5 Tips for Hiking with Your Pet before you embark on an outdoorsy adventure! Our number one tip? Bring plenty of water to keep your pup hydrated! Where’s your favorite spot to go hiking with your dog? Let us know in the comments below!